At New York Life, IT employees are training overseas workers to do their jobs. It's a difficult task that takes an emotional toll, and there are odd rules and processes to follow. The training starts with sessions over the Web with the offshore contractors. Eventually, the IT employees expect to train the contractors in-person. One IT employee, who is training replacement contractors, said she has been told by management not to ask the contract workers any questions. Even simple queries, like, "Did you have a chance to read this document?" or, "Are you familiar with this technology?" to the contract workers, from India-based Tata Consultancy Services, are not allowed. "We should have the understanding that [the offshore contractors] have all the skill sets," said this IT employee, whose name cannot be disclosed because of the risk to her job. Asking questions is "like insulting the process." There's also a regular survey process that seems like a Catch 22 system. As the replacement training moves along, the IT workers have to rate the offshore contractors on a scale of one to five, with five being the highest. If the contractor receives the highest score, the thinking among the employees is it may accelerate their replacement. If the contractor gets a low score, the IT employee may be blamed for providing poor training, which may also accelerate job loss. "The employees are playing this game, playing defense, trying to figure out what to do," she said. The IT employees also must be pleasant on the calls with contractors, not just matter-of-fact, but pleasant. The process is anything but that. As this IT employee, a computer science graduate, grappled with the reality of it, she said, "I break down. It's so hurtful." Meanwhile, the offshore contractor on the calls is beginning to use possessive pronouns, saying "our" or "my" to show he is taking ownership of her job. "It's bad for my heart when I hear that," she said. There was a time when working in IT was a good job, she said. Back then, there was promise, and computer science was a worthwhile major. "I've been telling high school students and college students that you should not major in computer science anymore," she said. IT work has "turned into a factory job." Two female employees were interviewed at the company and both are training their replacements. The interviews were arranged by Sara Blackwell, a Florida attorney who is representing Disney IT workers who were also replaced by offshore workers. What New York Life is doing is no different than what goes on at many other companies. The employer offers a severance package to laid-off workers contingent on a successful "knowledge transfer." In New York Life's case, the severance pay for the laid-off IT workers was described as three weeks' salary for the first year of employment, and two weeks for each year afterward, with reports of bonuses above that amount, according to employees. The company said it is offering "a generous severance package," and that employees are given 90 days' notice, and often more. There's a lump sum benefit, and for workers 50 and over, an early retirement benefit. The company's retirement benefit normally begins at 55. New York Life employees were told in 2014 that the IT department was undergoing a transition. 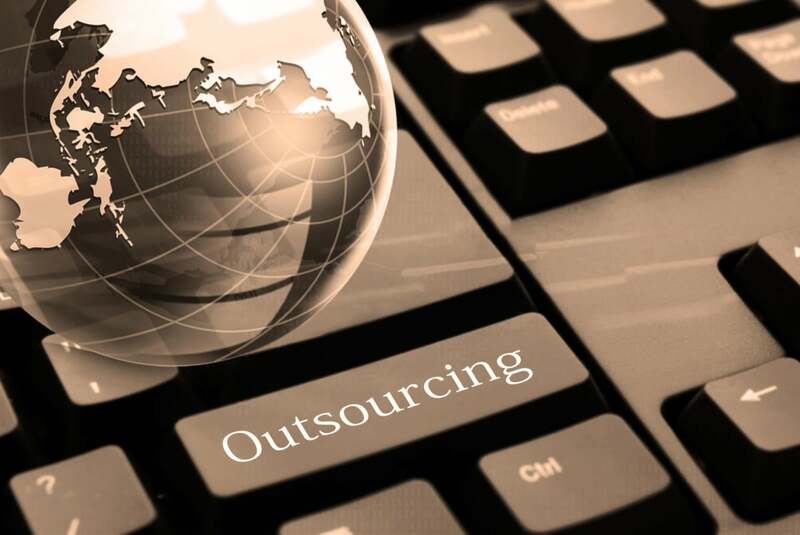 Last December, IT employees were informed specifically which technologies would be outsourced. It was a long list, according to a tape recording of the announcement made by another employee. The workers weren't told how many of them would lose their jobs, but the estimates they offer is higher than the company's report. A New York Life spokesman said the company began last year with about 1,400 IT employees. By the end of the transition process in 2018, it expects that number to decline to about 1,000, including departures and new hires. "So to be clear, we will be adding hundreds more New York Life employees with cutting-edge skills in analytics and big data, and complementing internal hiring with partners staffed for certain functions," said William Werfelman, a company spokesman. New York Life is "a thriving 171-year-old life insurance company, not a technology company," he said. "While we would prefer to control all of our technology capabilities in house and on-shore, we are not going to distinguish ourselves in technology by staying wedded to that concept," Werfelman said. "Even the expertise required to maintain our legacy systems has moved offshore," he said. “In order to maintain our position as a leader in our industry, we need to materially upgrade our capabilities,” Werfelman said. The company knows that "there will be pain along the way," Werfelman said, adding that it also knows that "parts of our business can now be performed by others who have made a specialty of certain capabilities." The contractors are also bringing in proprietary technology skills they don't have, he said. Werfelman said throughout this process, New York Life, which employs 9,000 and also has 12,000 agents in the U.S., will continue hiring hundreds of employees. "This is an important point, because to maintain our position as a vibrant and growing company, we must make decisions that allow the majority of our employees to remain active and thriving in our company," he said. Werfelman said the company is treating the laid-off employees "with great respect." Some will be hired by the contractor firm, and "a few have been offered other jobs" at the company. They can also apply for other openings at the firm, he said. The technologies put "under scope," or under consideration for outsourcing, include some networking functions, Windows, storage, disaster recovery, databases, VMware, Citrix and messaging. The belief among employees is that the majority of the work is being shifted to contractors. The fate of women in the IT workplace is a public policy issue. Less than 15% of the bachelor's degrees awarded in 2014 in computer science and computer engineering went to women, according to the Computing Research Association's annual survey of enrollments at Ph.D-granting institutions. President Obama has spoken about the need to increase women in STEM fields, but the White House has put a special emphasis on computer science. In January, the Obama administration announced a $4 billion computer science training initiative. The corporate contributors to it included two of the largest IT offshore outsourcing firms, Infosys and Tata Consultancy Services. Both are major users of H-1B visa workers. That visa is heavily used by offshore firms. A second IT employee, who is also training Tata employees, said she had written to her senators and members of Congress about what was going on. "I didn't hear anything," she said. "It's very devastating to see your friends saying good-bye. It's very devastating to see your friends crying. It's devastating to have to talk to [the contractors] -- to give them your job," this worker said. For women, the experience of training offshore contractors may be particularly difficult. Karen Panetta, a professor of electrical and computer engineering at Tufts University, has testified in Congress on behalf of IEEE-USA on the impact of the H-1B program on women. The vast majority "of imported STEM workers" are men, and they "do not treat U.S. women well, or any other woman in the workplace well, because they come from cultures where women are not treated as equals," Panetta said. "We are importing bad work cultures along with this cheaper labor. U.S. women will walk off the job rather than be treated like dirt," Panetta said. "This is just another added barrier that helps justify to girls another reason why STEM careers are not for them. It hurts," she said.